In 1970, Earth Day was born. Today, millions of people spanning 184 nations honor Mother Earth by reminding global citizens how to take care of our shared environment. As a leader in commercial real estate, we are honoring Earth Day 2017 by rounding up six of the coolest green building trends currently sweeping the industry. Also, we have created a brief overview of several local buildings native to Columbus, Ohio that are utilizing some of these trends in innovative ways. Call it a light bulb moment: Many commercial real estate building owners realize the incredible benefits of LED lighting. It consumes minimal energy, yet has high efficiency and a long service life, providing for a very low cost of ownership. This trend is going to continue to explode in the years ahead. In fact, in 2010, LED lighting had a measly one percent market share. In 2015, its market share jumped to 28 percent; it’s projected to grow to 95 percent market share by 2025, according to Goldman Sachs Global Investment Research. It seems that there’s an app for everything these days. So it’s no surprise that there are ones that can help you monitor your green investments. That’s right; numerous technology providers are bundling mobile applications with their products. Can you believe that you can easily review the energy output of your solar photovoltaic system; or track the kilowatt-hour savings of energy efficiency measures – all while sitting in a business meeting? How about receiving real-time notifications about building performance issues right on your phone? Mobile applications are making it too easy to go green (while on the go). If apps aren’t your thing, or you just need a helping hand, you can join the growing list of people who are hiring energy management services. How does this work? For a monthly fee, you can engage with a specialized service provider to remotely monitor and manage your energy consumption. These providers install a combination of hardware and software to track HVAC and electrical systems. Essentially anything that consumes energy in your commercial real estate building can be tracked. Over time, these providers develop strategies for reducing overall energy use. Why develop an in-house mechanism when hiring a professional services company can cost much, much less? Now that’s going green while saving green! Being a “Zero” is no longer a bad thing! Two trends that you will continue to see more of in 2017 are net zero and net positive. A net zero energy building is connected to the power grid, but it produces the same amount of energy it consumes. A net positive energy building goes one step further, supplying more energy than it consumes. These achievements are made possible by using energy efficiency upgrades and building management systems to reduce consumption. In addition, renewable energy sources are used on-site, including biomass and geothermal energy, wind power, and solar power. Speaking of solar power, the federal tax credit – which allows business owners to deduct 30 percent of any solar power investment from their tax burden – was recently extended until at least 2020. (As if you needed more reasons to embrace solar power!) Even more exciting, there are promising technological advances on the horizon; one example is lighter, cheaper solar cells that can be printed on any surface, regardless of shape and orientation. Solar power has been around for over a century; however, attractive incentives and technological breakthroughs will surely help continue to expand an already booming trend in the years ahead. Excited by the possibilities of these CRE development trends? Can you believe that CRE developers have already been implementing some of these trends in and around Columbus, Ohio? Let’s explore some of these awesomely innovative green projects in our local area. This newly renovated mixed-use project that includes offices, restaurants, retail space, and artist/exhibition space has become an important part of the city’s downtown renewal program. The U.S. Green Building Council awarded the building a LEED Gold level of certification for Leadership in Energy and Environmental Design – Core and Shell (LEED-CS). One of the eco-friendly building’s trendiest features is its 15,000 sq.ft. rooftop garden. A rainwater harvesting system captures water, which not only provides drip irrigation to the roof garden; it also stores rainwater in tanks both on the roof and in the basement. This water is also used to flush toilets and for the cooling towers. The multi-use system dramatically decreases the amount of domestic water the building uses. Another part of the sustainability strategy involved the building materials used to create the new structure. Over 11,000 tons of materials from the old building were recycled. Intended for the youth, adult volunteers, community organizations, and Ohio State University partners, the 4-H Center became the first building on Ohio State’s campus to achieve LEED Certification. It also won the Outstanding Achievement Award by American Council of Engineering Companies of Ohio in 2009. This innovative building design achieved a LEED Gold level of certification in September 2016. The library sits on a three-acre site on the outskirts of Columbus, Ohio; it’s surrounded by lush, green lawns, meadows, and planting beds. The highly polished concrete floor and exposed structural steel ceilings allow beautiful views of the surrounding green space; these elements work together to maximize and reflect natural light. The interior also includes low-flow water fixtures, a circulation pump, aquastat, and reduced ventilation rates. Another modern (and educational) addition is a series of LED screens that display the structure’s energy performance… in real time! As we observe this year’s Earth Day and commend all the great advances in green building, The Robert Weiler Company appreciates the strides made in green building standards and looks forward to following these trends as they pertain to future CRE development projects. 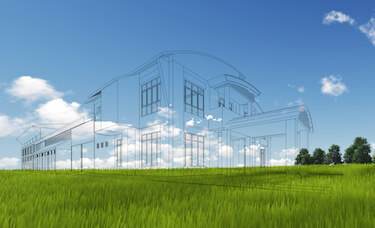 Have a green building project in mind? Reach out to one of our agents to discuss your ideas and learn about our commercial real estate development services: 614-221-4286. We look forward to collaborating with you!